Customer centricity in innovation: easy to grasp easy to do? While no one would dispute the importance to take onboard customer needs, why is it that so many companies are still pushing offers that don’t satisfy their customer needs or don’t bring enough incremental sales or margins? We all understand that neglecting customer input/needs will most certainly lead to the death of a business, sooner than later. in order to stay in the game, businesses need to evolve their offers to both existing AND new customers. Fighting for survival can’t be the permanent strategy. But how much short-term profit can you afford to trade while pursuing your long-term growth? What if your company is just not able to hold a healthy balance of grooming current business (known marketplace, incremental offer, geographical expansion) versus bringing new ideas/offerings to market? The innovation pursuit never ends and if you think you are done. Think again. How do you protect your profit margins while allocating enough resources to discover & develop new offerings? 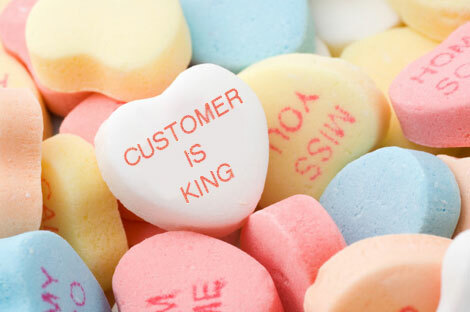 Most people in the driving seat are convinced that they are being very customer centric. How are you avoiding blocking /filtering undesired feedback to keep the status quo & plans aligned? How do you know what you need to know before committing to a specific strategy? How do you segment your current and new offerings according to your customers’ maturity? By what means do you define the perceived value added of the new offerings? How do you know you are charging the right price for the corresponding customer value? How are you ensuring good reach and impact through your communication channels? If any these questions resonated with you, how are you addressing them inside your company today? What else would you add to the list? We would love to hear from you or start a discussion to see how we can help you start finding some sound answers.